This paper focuses on the intellectual debate about the idea of Africanity that took place in the Codesria Bulletin of 2000. I argue that the fundamental question that drives this intellectual debate is that of intellectual autonomy/sovereignty. What does it mean to theorize Africa from the “concrete” historical and political experience, and how does that allow for an independent African intellectual subject? This debate allows us to think through the question about the place of Africa in the world and the universal, while also asking us to search for an African politics that is shaped by the “concrete” and not by an abstract idealism. It asks us to think about the grounds from which to speak about Africa. Must Africa be theorized from anywhere, by anyone, and for anything? Who has the right to theorize Africa? Is the African subject part of a universal global subjectivity? How is Africa differently part of that universal global subjectivity? The paper will focus on a conversation, in this issue of the Codesria Bulletin, between two prominent African intellectuals: Archie Mafeje and Achille Mbembe. In answering the question as to how we might understand this debate we will deploy the following strategies. We will put the debate within the institutional context of the Pan-African tradition of Codesria, the historical and political context of postcolonial Africa and the influences of different schools of thought in the formation of intellectuals. In an attempt to theorize this debate, we also take influence from the work of the political. 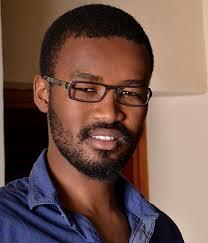 Ayanda Nombila received his degrees from the University of the Western Cape (UWC), South Africa. He received his first degree, a B.A in History and Anthropology in 2010 and his Honours in History in 2011. In 2013 he completed his M.A in History with a thesis on intellectual biography. Ayanda has worked for South African History Online as an intern in 2011, and as a graduate tutor in the history and anthropology departments at UWC. His interest at MISR is to explore the question of the African native intellectuals during the colonial/apartheid moment in South Africa and Africa, specifically focusing on how intellectuals grappled with the problem of modernity and the concept of the political, and how they negotiated questions of culture, nationalism, citizenship and belonging.